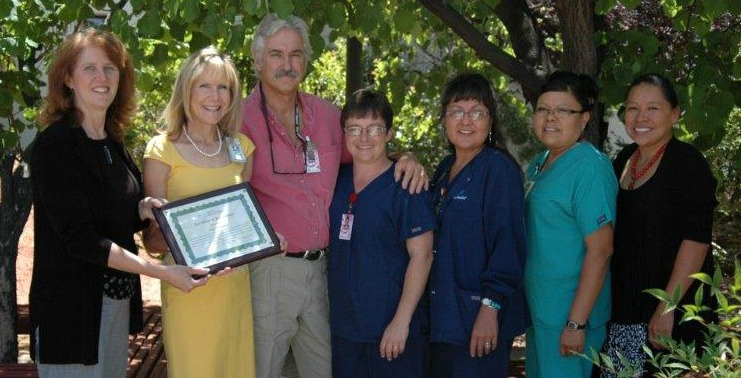 Page Hospital, located in Page, Arizona, participated in the Centers for Medicare and Medicaid Services (CMS) Partnership for Patients initiative through the Premier Hospital Engagement Network (HEN). The hospital maintained Joint Commission accreditation and demonstrated high quality outcomes and operational performance rates relative to peers. With support of the hospital district, Page Hospital expanded its campus and services in response to growing community needs. As a Planetree affiliate, Page Hospital adopted a variety of patient-centered care protocols that reflect both a holistic aesthetic and the native traditions of the area. Page Hospital's Chief Executive Officer, Sandy Haryasz, states, "Page Hospital is a quality hospital providing excellent patient care by excellent people. Consistently, Page Hospital performs well with the Banner Health strategic initiatives and 2012 was no different."